Maximize performance and response with the Sport Utility Kit. Improves throttle response,better low and mid-range power, improves "hole-shot" acceleration, enhances backshifting, less belt slippage, more effective power transfer. Kit improves performance in the mud. Kit designed for stock motor and exhaust. Keep dirt and grime away from your drive belt. Fits every Polaris with belt drive. Polaris Sportsman Dayco Drive Belt. Dayco Belts are manufactured from aramid reinforced polychloroprene and p-arramid cord to ensure superior strength, enhanced dimensional integrity and longer belt life. Polaris Standard Dayco Drive Belt. Polaris Dayco Heavy Duty High Performance Drive Belt With Teflon Constructed with extra strong p-aramid cord reinforcement and engineered fiber loaded neoprene compounding. Tested and proven to run cooler and provide longer belt life than competive belts. Dayco Heavy Duty High Performance Drive Belt With Teflon Constructed with extra strong p-aramid cord reinforcement and engineered fiber loaded neoprene compounding. Tested and proven to run cooler and provide longer belt life than competive belts. Shindy Piston Kit. 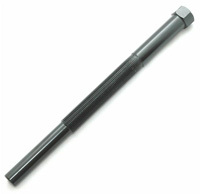 High quality replacement piston kits that properly meet OEM specifications. Kit includes piston, ring set, wrist pin and circlips. Holds clutch baskets, flywheels, gears, sprockets etc. 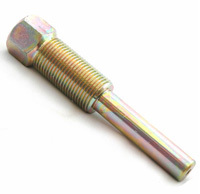 Very useful tool for any ATV or Motorcycle mechanic. Precision cut helix, progressive style and designed for the performance tuner. FYI - Most Polaris ATV's come with a straight 40 degree helix from the factory. Replaces Polaris Belt #3211077 and 3211078. Complete engine gasket set for All 400cc 2 cycle Polaris. Includes Head, Base, Intake and Exhaust Gaskets. Polaris 350 90-94 Two Stroke. Top End Gasket Set for Polaris 400 Two Stroke. Includes Head Gasket, Base Gasket, Intake and Exhaust. Top End Gasket Set. Includes Head Gasket, Base Gasket, Valve Seals and all other gaskets needed to rebuild your top end. Includes Piston, Pin, Rings and clips. 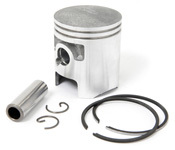 Polaris 400cc 2 cycle Piston Kit. Includes Piston, Rings, Wristpin and Clips. 4th over Piston Kit for all Polaris 400cc 2 cycle. Spectro 4 is a blend of highly refined, paraffin base oils with the very latest A.P.I. SH technology additive package fortified with additional anti-wear additives to provide smooth shifting characteristics in motorcycles with transmissions that share the engine lubricant. Spectro 4 uses a shear-stable olefin co-polymer viscosity index improver to resist viscosity breakdown in a motorcycle/ATV gearbox environment. Spectro 4 is the ideal choice for all four-stroke ATV's and motorcycles where an economical, high performance oil is desired for touring, competition, and off-road use. Spectro 4 can be used in any four-stroke gasoline engine, but is manufactured specifically to meet the unique demands of motorcycle engines. Observe manufacturers' recommendations for viscosity and change intervals. Recommended for use wherever an A.P.I., SF, SG, SH oil is specified. An extreme pressure gear lube designed specifically for shaft driven ATV differentials and drivelines. Sold in 1 Liter bottles. 42 Tooth OEM Style Polaris Rear Driven Sprocket. 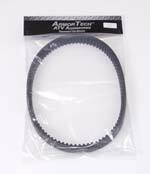 Dayco XTX (Xtreme Torque) Heavy Duty High Performance Drive Belt. Engineered for monster machines with 800cc and abover engines. Specially-formulated high temp Neoprene with the highest level of Aramid fiber.